With a mixture of culture, nature, scenic beaches and accommodating resorts, as well as very good air connections, the Dominican Republic is highly rated as a wedding and honeymoon destination. Marry with the blessing of ceremonies performed in the historic churches in the Colonial City of Santo Domingo. Or choose the backdrop of the aging stones of Altos de Chavón’s St. Stanislaus Church. The memories will endure. Or forego the formality of traditional church weddings for the romance of the beach resorts of Puerto Plata, Samana, Punta Cana, La Romana, Juan Dolio or Boca Chica. Consider the marinas and large restaurants with their great views as another option for a wedding by the sea. When the sun sets it will be time to tie the knot. Guests will admire the sun, watching the last rays of bright yellow as it sets in the horizon to a backdrop of pinks and orange. The newlyweds will flirt with each other. 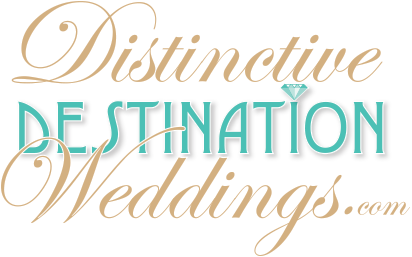 Destination weddings work for either large or intimate ceremonies. The hotels offer packages specially designed for all tastes and budgets. At the hotels, experienced wedding planners will help the bride work within the budget, choose the sites, plan makeup and hair on the wedding day, choose flowers, wedding cake, photography, videos, music and of course, the banquet. The services also ensure that your paperwork is processed correctly and papers sent to the right entities. Take note that while the requirements are the same, the process may vary depending on the justice of peace. The wedding planner will assist couples in finding a justice of peace or priest and will follow through with the sending of the marriage certificate. Take note that civil services are performed solely in Spanish, but translators can participate. If you will not be using the services of a wedding coordinator, have a friend or relative visit the specific civil registry office whose services you will be using to confirm the specific requirements of the judge that will be acting at the ceremony. The Dominican Republic is a member of the La Hague Apostille Convention. Therefore, all non-Dominican official documents need to be apostilled by the issuing country’s foreign affairs ministry. Canadian citizens are not required to present apostilled documents. The documents need to be translated and legalized by a Dominican Consulate. It usually takes 3 to 4 weeks after the ceremony for the issuing of the legal notarized marriage certificate from the Justice of Peace. This will be mailed to the bride and groom. The following paperwork is required to be submitted before the Oficialía del Estado Civil (Civil Registry Office): for the preparation of your civil marriage certificate. Allow three months for the processing. It is recommended that scanned documents or photocopies be sent in advance and the originals brought for the final processing. Note that the documents need to be translated into Spanish by an official translator and legalized by the Dominican consulate. Original passport with photocopies of the photo page and the latest entries into the country. Sworn declaration before a notary public of being single and eligible to marry, known as a Single Status Affidavit. If previously married, the Divorce Certificate or Death Certificate, if applicable. Two or more witnesses with valid passports. Relatives cannot be witnesses. Priests at Roman Catholic churches in the Dominican Republic can perform legal weddings for both locals and foreigners. In keeping with church rules, priests will not officiate weddings on the beach, but they may celebrate a wedding inside a closed area of the resort. For a wedding at a church, a mutually convenient date needs to be set and will depend on church availability. In addition to the same standard documents required for a civil wedding, a Roman Catholic Church wedding will require authorization from the local parish in the couple’s country of residence. Also required are baptismal, communion and confirmation certificates and church certificate of annulment (if applicable). Catholic ceremonies have the same legal implications as a civil marriage and the issuing of the marriage certificate follows the same procedure.